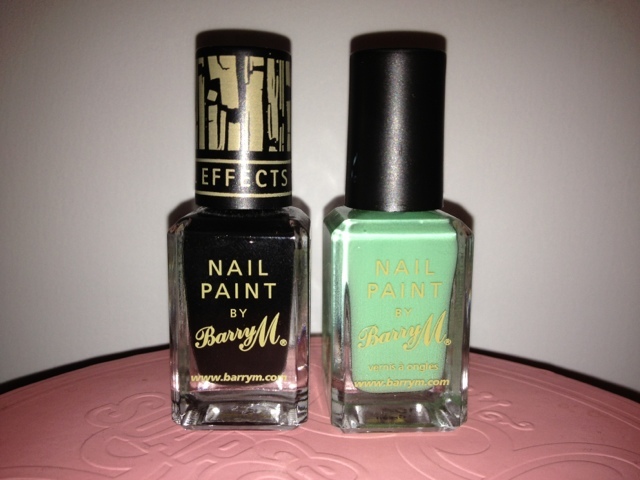 These (below) are the only two Barry M nail polishes I own. I got the Nail Cracking Effects over 2 years ago which I used once and never again. I thought the other day I would try it again as I forgot why I never used it. I haven't took pictures of my nails because they didnt really look that good. The cracking just looks like an accident it doesn't really look like a purpose 'cracking' effect. I then bought a normal colour a couple of days ago as so many people go on about Barry M I thought it was just the cracking effect. 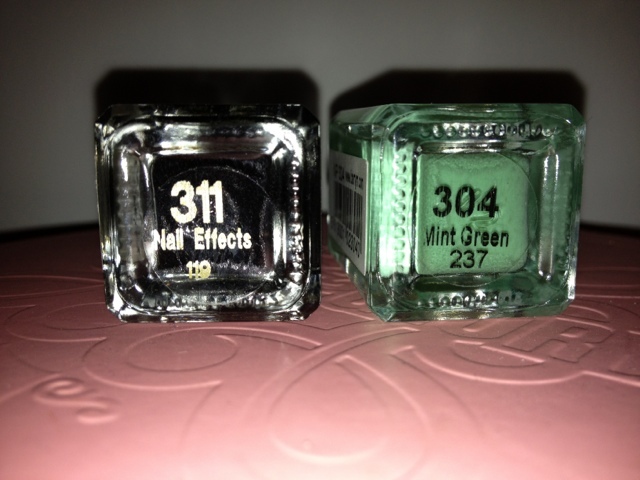 I bought the polish in Mint Green, its a really nice colour! But after I had put it on, which was really hard, it took so long to dry and after 3 hours it was still not fully dry and I smudged it everywhere! It chips easily and I just didnt like it at all! My favourite polishes are by Rimmel and Topshop. Rimmel is at a really good price, the colour is the same and drys really quickly. I would say the same with Topshop too, just Topshop Nail Polishes are just a tad more expensive. Am I the only blogger who doesnt like Barry M? hiya, i have recently found (and followed) your blog and i love it! I think we have quite similar blogs (you can probably guess this from my name balletbeauty haha) and I would love it if you had time to pop over to my blog!